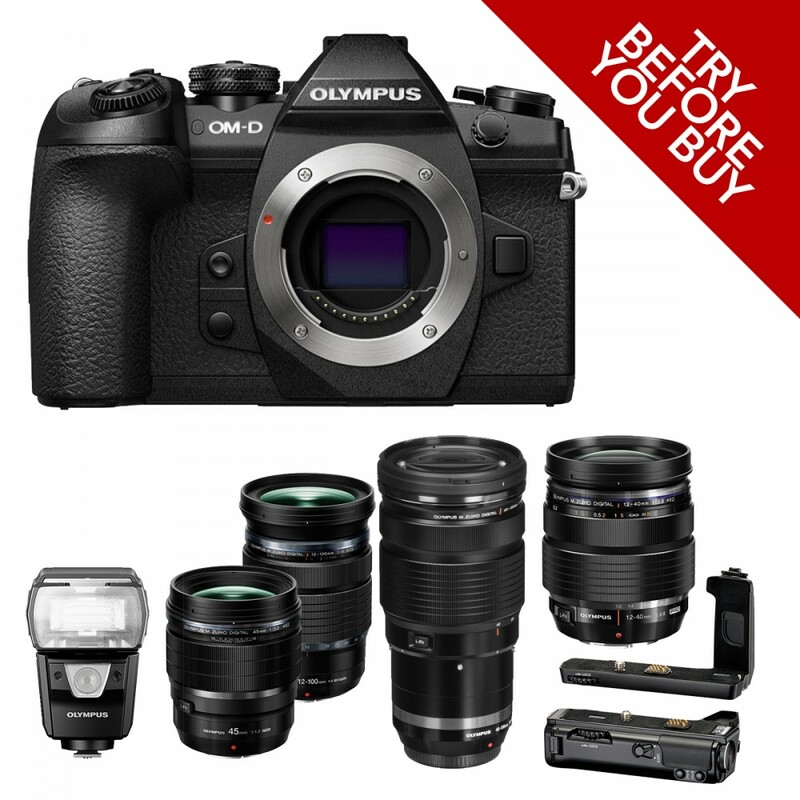 Fast, durable, and versatile, the OM-D E-M1 Mark IIfrom Olympus is a workhorse Micro Four Thirds mirrorless camera, offering a broad range of stills and video-minded functionality. Revolving around a high-resolution 20.4MP Live MOS sensor and TruePic VIII image processor, the E-M1 Mark II sports a truly fast 60 fps continuous shooting rate with an electronic shutter, 18 fps with continuous autofocus, and 15 fps with a mechanical shutter. For video shooters, both DCI and UHD 4K recording modes can be used, along with a Time-lapse Movie mode for producing in-camera 4K time-lapse sequences. The sensor and processor also avail a top expanded sensitivity of ISO 25600 to support shooting in difficult lighting conditions, and sensor-shift-type 5-axis image stabilization also helps to minimize the appearance of camera shake for sharper handheld shooting. Additionally, the sensor's design also incorporates 121 on-chip phase-detection points, all of which are cross-type, along with 121 contrast-detection areas for fast and precise focusing and subject tracking performance. Helping to ensure you don't miss the shot, Pro Capture Mode is a unique setting that starts recording and buffering full-resolution JPEG or raw images prior to fully depressing the shutter. As soon as you press the shutter button halfway, frames will begin to be recorded, and once you fully press the shutter, the image will be saved in addition to the previous 35 frames. Additionally, you can hold the shutter button in this mode to keep shooting continuously using the silent electronic shutter function.